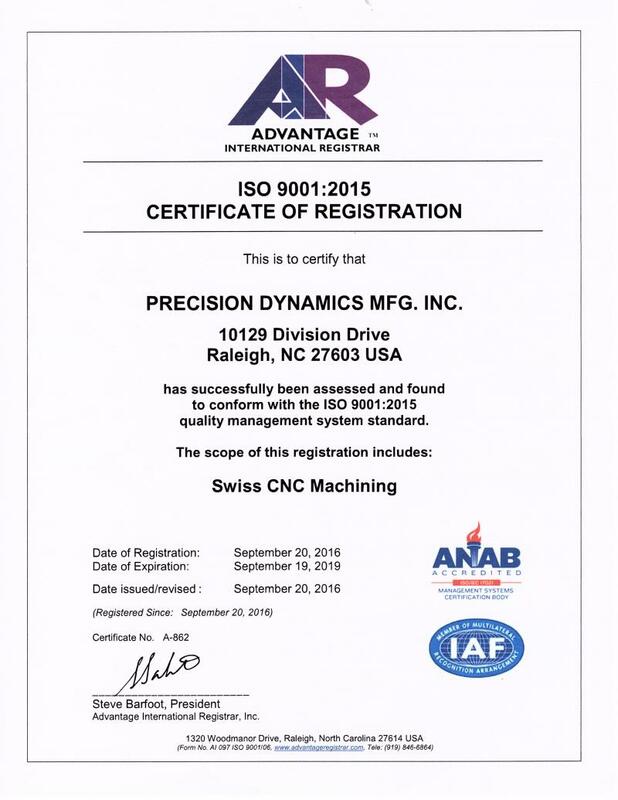 Precision Dynamics Manufacturing, Inc. specializes in all types of Swiss type screw machine work and serves industries such as Medical, Areospace, and Electronics. With over 30 years of technical and engineering experience, we have worked diligently to establish a first-rate reputation for delivering projects that meet all quality requirements, on time and on budget. That's our definition of perfection.